A signature workwear wonder in crisp, clean white. 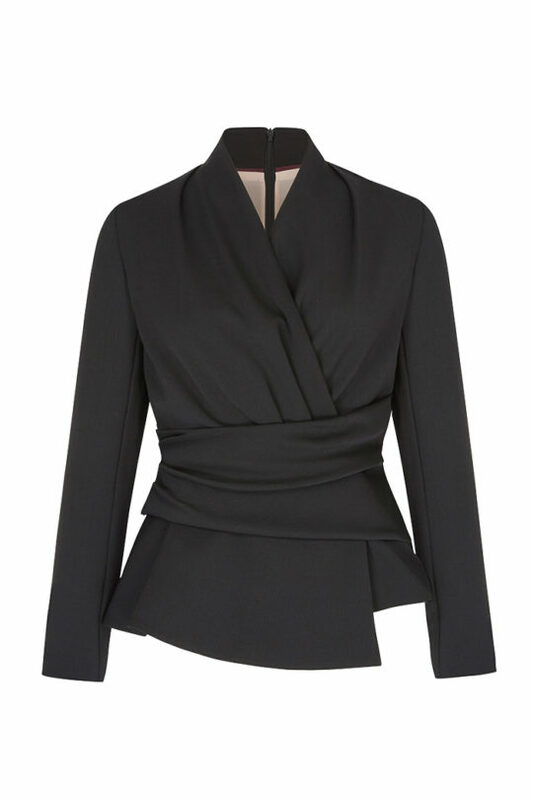 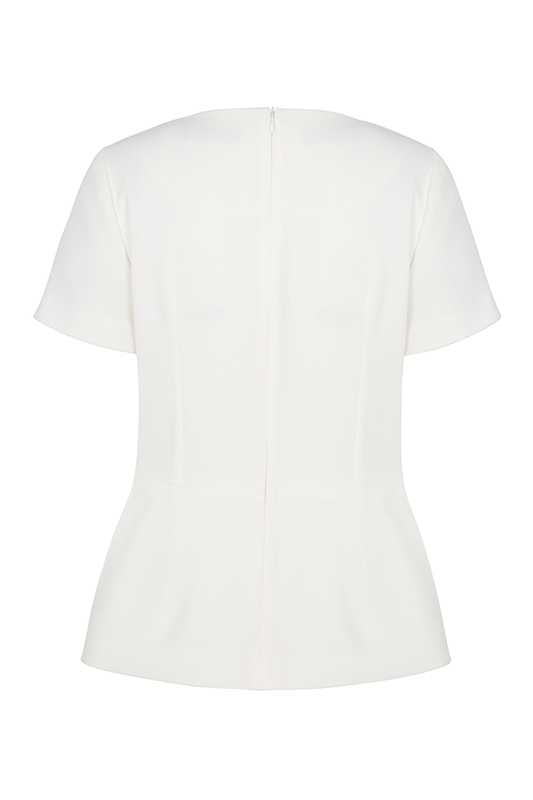 Elevate your daily wardrobe with the Boswell top. 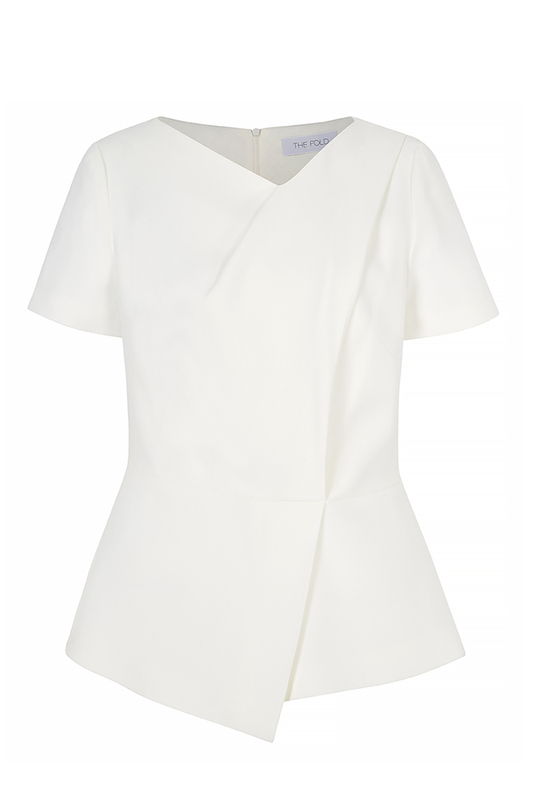 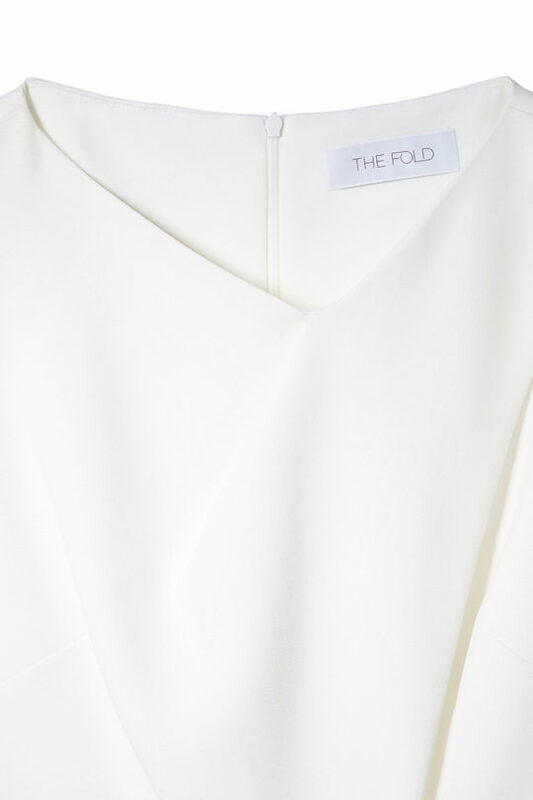 Tailored for spring in white satin-back crepe, this slim silhouette has an asymmetric neckline and a peplum waist to perfectly hone your figure. 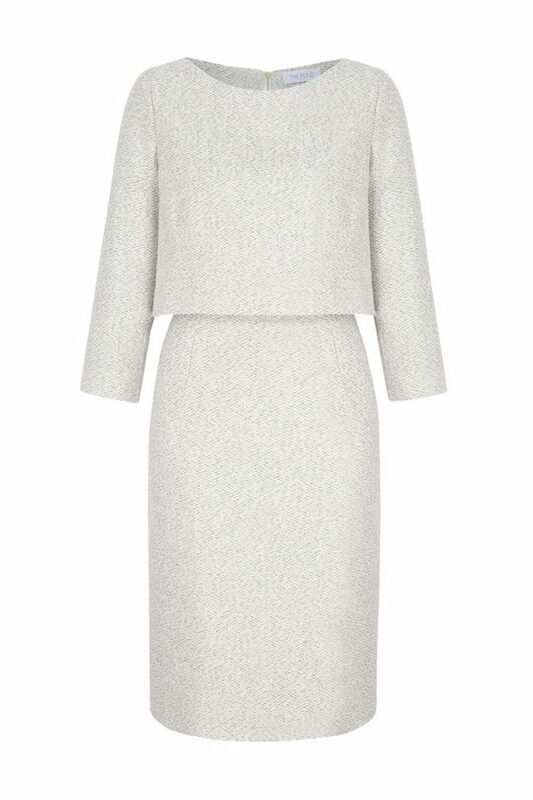 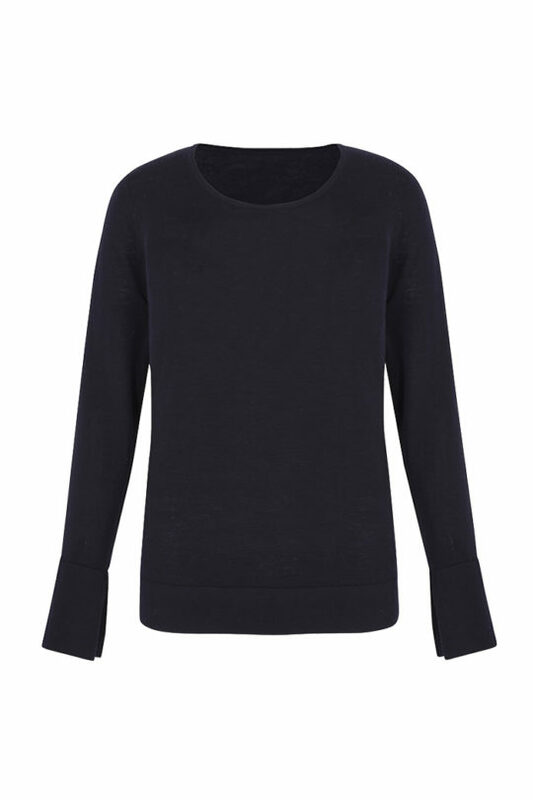 Wear with contrasting neutrals for pared-back polish. 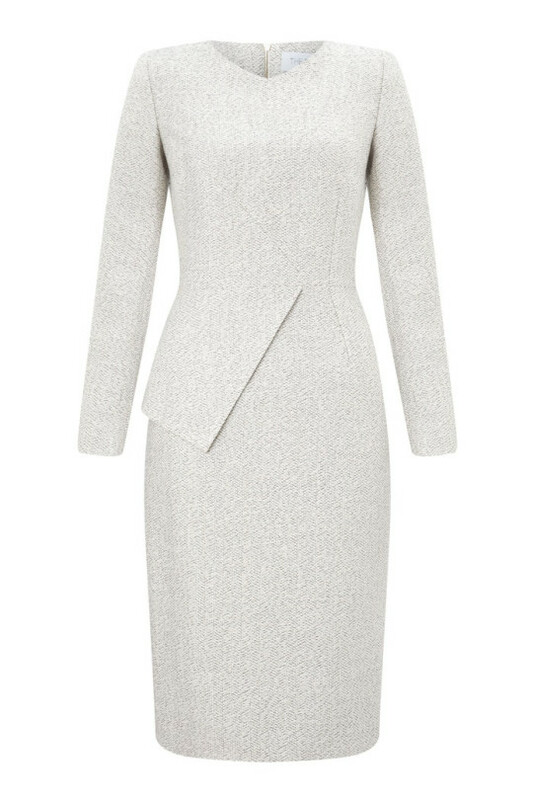 Styled here with the Le Marais Slim Fit Pencil Skirt Navy.